Every year, INDATA hosts four free, full-day training sessions that offer an in-depth look at people with particular disabilities and the forms of assistive technology that can improve their everyday lives. 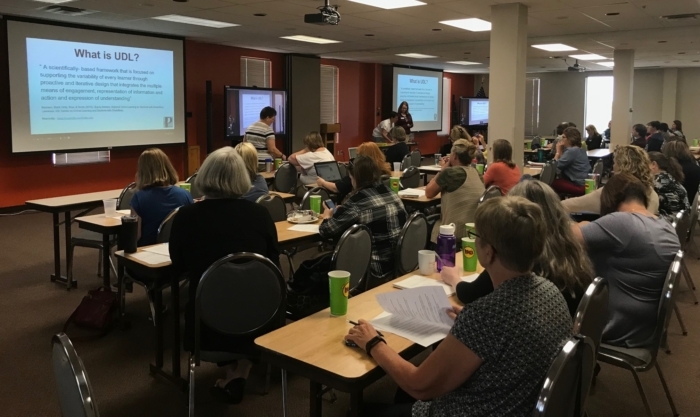 INDATA hosted two training sessions last week with representatives from the PATINS Project and the Dyslexia Institute of Indiana. 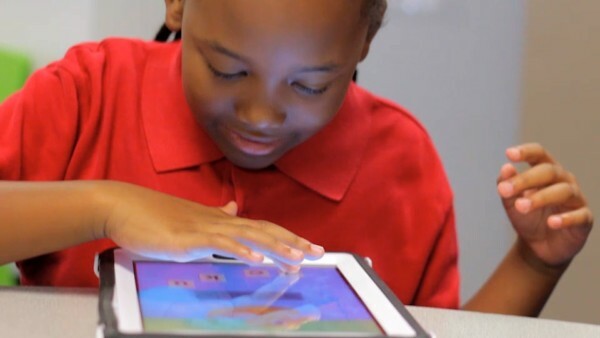 PATINS stands for Promoting Achievement through Technology and INstruction for all Students. The organization supports Indiana public schools in creating and sustaining an equitable learning environment for every student. The Dyslexia Institute of Indiana (DII) is a nonprofit organization serving children, adolescents and adults with specific learning disabilities, effectively helping children with dyslexia in Central Indiana improve literacy skills since 1989. Led by PATINS Project members, the training session explored the topic of Universal Design for Learning (UDL). This concept revolves around the development of flexible learning environments to accommodate a diverse group of students with varying levels of ability. Multiple Means of Representation: A universally-designed classroom branches out from typical textbooks to present ideas to students in multiple formats — video, audio, hands-on activities, etc. Multiple Means of Action and Expression: In an inclusive classroom, students aren’t limited to one way of showing what they’ve learned (e.g. a term paper or written test). They can make a video, deliver an oral presentation, prepare a group project or even draw a comic strip — whatever plays to their strengths and makes them feel most comfortable. Multiple Means of Engagement: Students need incentives beyond good grades. In a UDL classroom, a teacher motivates them with assignments relevant to their lives or opportunities to work with their classmates in fun, game-like ways. 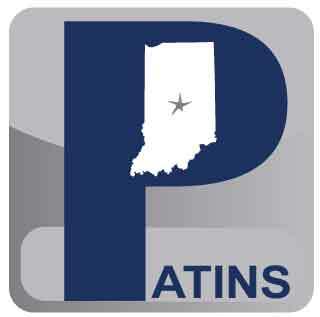 The PATINS Project works with schools across the state to make their classrooms fit the universal design model. This organization offers a statewide online system for the acquisition of specialized textbooks, a lending library of assistive technology available for six-week trial periods and a variety of training opportunities — all at no cost to Indiana’s public K-12 schools. This kind of support goes a long way in helping educators overcome the practical and financial obstacles involved in creating more inclusive, accessible learning environments. The INDATA full-day training session also focused on a learning disability that affects one in five students across America. The training session also introduced attendees to assistive technology that can make everyday life easier for students but also people of all ages with dyslexia. Software programs like Sonocent are ideal for class lectures or office meetings. This audio notetaker records information but also breaks it up into chunks that are easier to digest. 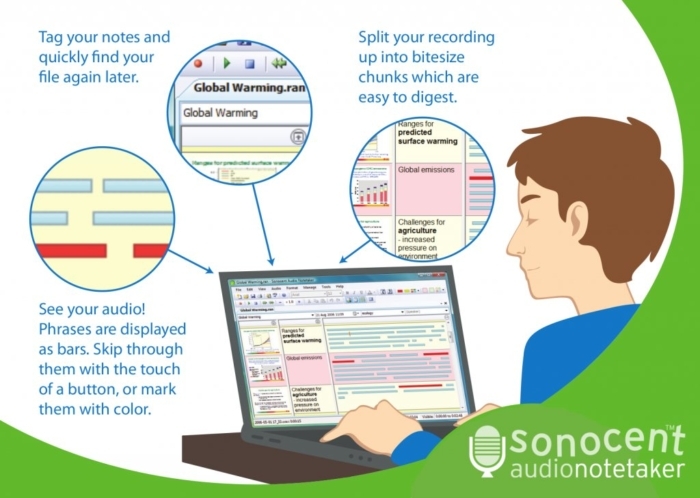 It allows users to mark certain sections of the audio file in the same way you would highlight a passage in a textbook. The session also introduced free or low-cost tools, such as the OpenDyslexic app, which overrides all fonts on web pages to make them easier to read. Letters have unique, heavy-weighted shapes, allowing users to avoid confusing ones that usually appear to be visually similar (such as p and q). These are just a few of the many tools out there that make reading comprehension and information processing significantly easier for people with dyslexia and other learning disabilities. In addition to the learning sessions, INDATA also offers a look at its lending library and a show-and-tell of some of the assistive technology devices available for people to borrow.